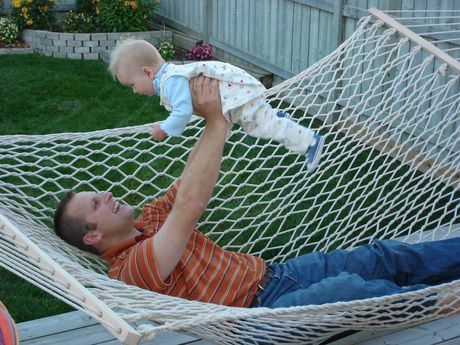 This rope hammock is made from 100% cotton and tightly woven for increased body contact. 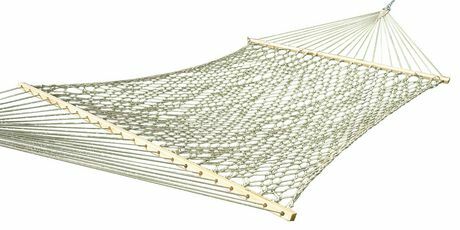 The hammock is made with 3-ply twisted cotton rope that enhances strength and durability, but at the same time the cotton fibres continue to breathe for dry comfortable relaxing. 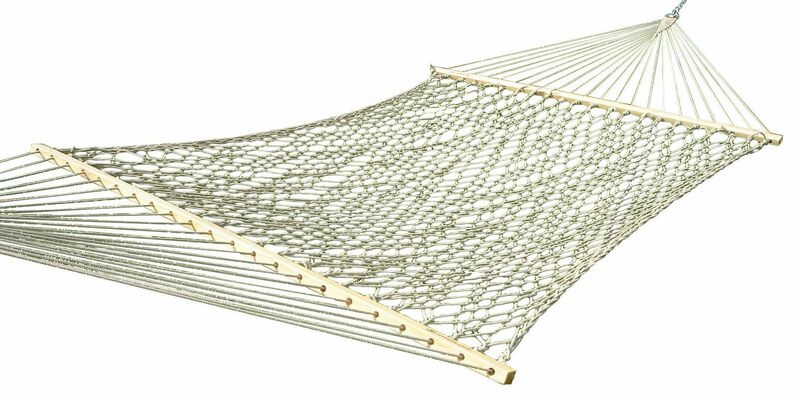 Hammock Bed 84" x 60". Total Length 150"